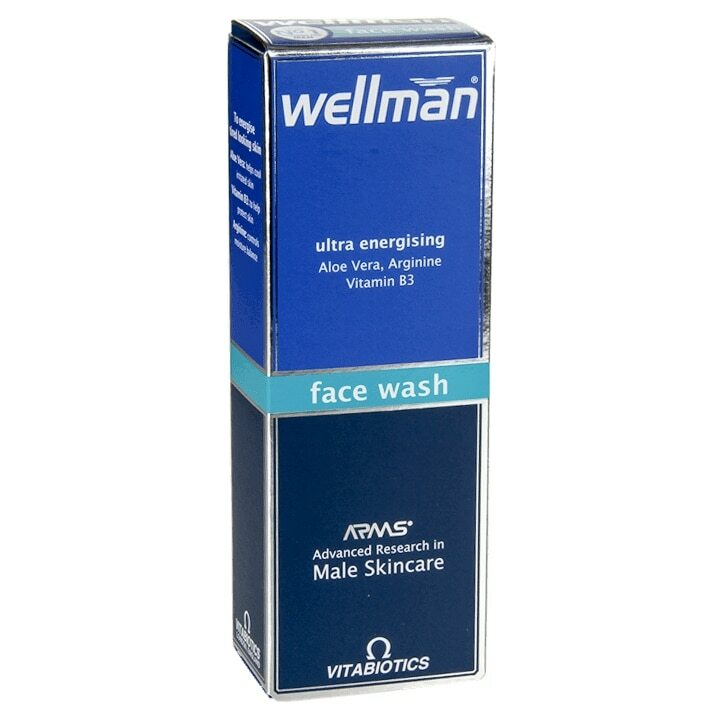 Formulated especially for men, Wellman® Face Wash helps cleanse and remove impurities from pollutants and perspiration trapped deep in your pores, to leave skin visibly refreshed, revitalised and energised. Formulated by Vitabiotics’ experts on the basis of Advanced Research in Male Skincare (ARMS®) to help to reduce excess oil in the skin and unclog pores for clearer, softer skin, while maintaining the skin's natural moisture. With a unique blend of Vitamin B3 to help protect the skin barrier, combined with Aloe Vera for its cooling properties and to energise tired looking skin. Plus Arginine to help control moisture balance. Use on face and neck area every morning and night to energise tired looking skin. Massage into damp skin, lather and rinse well with warm water. Follow with a cool rinse. For best results, follow with Wellman® Anti-Ageing Moisturiser. Avoid direct contact with the eyes.